“Democratic Socialism” in the United States has been catching on. To most Americans, the idea either sounds scary because it will undermine the success of the free enterprise system or seems like the natural evolution to a more equitable society that provides greater opportunity for every citizen. Which of these views is correct depends in part on how we choose to define Democratic Socialism. What some are calling Democratic Socialism is actually “social democracy,” and there are important differences between the two that I will explore here. Even though he calls himself a Democratic Socialist, this philosophy is not what Vermont Senator Bernie Sanders actually stands by. Democratic Socialism, in its true definition, sees the evils of capitalism as so extreme that it would replace the free enterprise system with an economy where the means of production are owned and controlled by the government, by collectives of citizens, or government-sanctioned companies. The production of goods and services would be decided by these organizations rather than through competition among entrepreneurs. It is entirely different from the free enterprise system that we know. 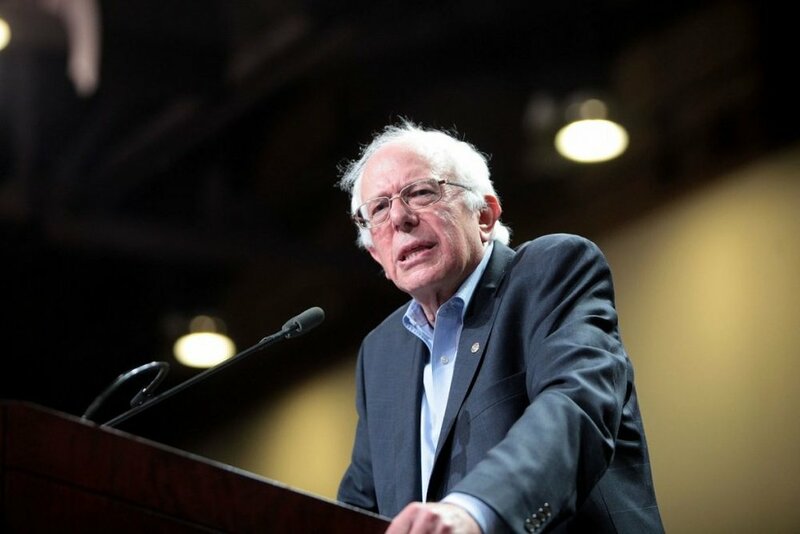 In contrast, Senator Sanders’ stated platform seeks to work within the capitalist, profit-driven structure of the existing economy, not replace it, while addressing issues such as income inequality, a stronger social safety net, climate change, and tuition-free public college. This is a “social democracy” approach that promotes social justice such as government-sponsored health care under a democratic government and a capitalist economy. Other people have espoused [these] ideas without calling themselves socialists…. Why do you need to call yourselves socialists because that has… so much negativity in the United States?…. Maybe there’s a little taint to socialism that turns people off. Many of those in the boomer generation would agree, having lived through threats from the former Soviet Union—the arms race, the space race, the Cuban Missile Crisis, the Berlin Wall, fallout shelters, and Soviet Premier Khrushchev’s pledge that “We will bury you!” - the association with fear that the term “socialism” conjures in the American mind. Millennials, however, do not have this same history. It is not from the benevolence of the butcher, the brewer, or the baker that we expect our dinner, but from their regard to their own self-interest. In other words, the profit motive is what makes our economy operate. If a town would benefit from a bakery, then just like magic, a bakery may appear, because someone sees that this can be a way to make a profit and feed his family. And because of his self-interest, the public also benefits. However, Adam Smith also cautioned against assuming that a free market is a perfect market. The profit motive provides incentives for companies to become monopolies and for price-fixing with competitors, both of which are too detrimental to consumers. Large companies can also influence politicians to enact legislation that helps the companies but not the public. Some observers are calling our current system “late stage capitalism” and “crony capitalism,” terms that indicate a corruption of pure capitalistic ideals by seeking favored treatment through lobbying. Capitalism cannot succeed in unfettered form. Left unchecked, the “greed is good” mentality will pollute our rivers, promote deceptive marketing, and leave consumers holding the bag for products that don’t work. This is where government comes in. Limitations on the excesses of capitalism should not be viewed necessarily as government overreach, but as an appropriate response, when necessary, to promote the general welfare. That is what is meant by social democracy. The question, as in most in the political sphere, is where to obtain the right balance. Are Democrats and Millennials really Democratic Socialists? A Vox article provides additional information about the DSA and its belief that capitalism should be replaced with a socialist economic model. Another article provides greater focus on the House of Representative's candidacy of Alexandria Ocasio-Cortez, a member of the DSA. Yet with only about 25,000 members, the group can be considered on the outskirts of mainstream political thought. But “socialism” in terms of “social democracy” has much greater currency. A recent poll indicates that 57% of Democrats view socialism positively, in comparison to only 47% viewing capitalism favorably. Similarly, another poll indicates that “more Millennials would prefer to live in a socialist country (44%) than in a capitalist one (42%).” These responses almost certainly come from an altered definition of socialism. The “socialism” we’re talking about right now doesn’t quite mean socialism; it means an expanded welfare state…. Socialism isn’t what anxious young Americans are looking for. In other words, the growing acceptance of “not that” is almost certainly focused on greater social democracy, not actual Democratic Socialism. This interest in social democracy is illustrated by the pressing need to improve a dysfunctional health care system. Criminal justice system reform is also being advocated by both the political left and right, and income inequality has reached substantial new levels. These issues most certainly appear worthy of mainstream debate. Each of these government initiatives, and many others could be labeled “socialist” or “social democratic,” and yet are an integral part of American culture. To anyone who is opposed to socialism in any form, well, you’re too late! Some excellent and balanced articles have provided valuable insight into the discussion of where social democracy fits into the American economic system. One of these makes a credible argument that a well-functioning economy needs all three elements of democracy, capitalism, and socialism. Another points out that socialism and capitalism are interdependent, rather than mutually exclusive. The article “Bernie is Not a Socialist and America is Not Capitalist” additionally includes information about the model put forth by Scandinavian countries, which I will discuss next. The Nordic countries—generally considered to be Denmark, Finland, Iceland, Norway, and Sweden—are illustrative of contemporary social democracies. They provide greater worker rights and more equitable income distribution, as well as enforcing higher taxes than the U.S.
Denmark, Sweden, and Norway were ranked at numbers 2, 3, and 4 for quality of life in a U.S. News survey. Only Canada ranked higher at number one. The U.S. is ranked 17th out of 80. The top four countries in the Happiness Index, in order, are Finland, Norway, Denmark, and Iceland. Sweden is 9th. The U.S. is 18th. What about economic freedom? Here the U.S. ranks higher, at 11th (tied with Canada). Denmark is 15th, Finland is 17th, Norway is 25th, and Sweden is 27th out of 159 countries ranked. HumanProgress.org provides a ranking of “Doing business, paying taxes.” These rankings reflect both the level of taxes paid and the administrative burden of complying with tax requirements. On this metric, the U.S. ranks 8th. Denmark ranks 3rd, Norway ranks 6th, Sweden 9th, Finland 13th, and Iceland 20th out of 190 countries. Whereas the debt-to GDP ratio for the U.S. is an unhealthy 105.4 percent, the ratios for the Nordic countries are much better, ranging from 36.2 in Norway to 61.4 in Finland. Government spending in the Nordic countries is a higher percentage of Gross Domestic Product than in the U.S. Yet that greater participation by the government does not appear to be causing a collapse of overall citizen welfare. Just the opposite, as illustrated by these metrics. No country is perfect, and in fact, The Guardian has provided a partly tongue-in-cheek critique of the “Scandinavian miracle.” Representatives of those countries have responded in kind. If you’re willing to keep a sense of humor, a Fox Business News segment provides an unintentionally hilarious comparison between Denmark and the current economic collapse in Venezuela. Denmark has provided a more accurate response. Investopedia has reported on the pros and cons of the Nordic Model, which they describe as a “unique combination of free market capitalism and social benefits.” They indicate that success of the Nordic countries stems from “an ability to work through their political differences for the greater good of all,” an approach at odds with the current political climate of the United States. A recent proposal by Senator Elizabeth Warren is indicative of an interest in social democracy rather than Democratic Socialism. Her “Accountable Capitalism Act” is billed as a plan to save capitalism, not destroy it. In the early 1980s, America's biggest companies dedicated less than half of their profits to shareholders and reinvested the rest in the company. But over the last decade, big American companies have dedicated 93% of earnings to shareholders—redirecting trillions of dollars that could have gone to workers or long-term investments…. Additionally, because the wealthiest top 10% of American households own 84% of all American - held shares...the dedication to "maximizing shareholder value" means that the multi-trillion dollar American corporate system is focused explicitly on making the richest Americans even richer. As expected, the bill has been criticized by business interests. Yet there is a concept that businesses and conservatives should especially note: the public’s concerns over income inequality and favored treatment for the rich are not going away. As National Review correspondent Kevin Williamson says “Conservatives should be honest with the fact that they aren’t buying what we’re selling, and do the hard work of understanding why and what to do about it.” If not greater social democracy, then what are the viable alternatives?